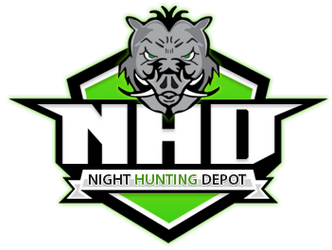 Predator Hunter Outdoors has gone above and beyond with the NightSnipe RAZORBACK Bow Mounted Stabilizer Light! The highest quality, farthest shining stabilizer bow light available anywhere is now available with 1 additional LED color of your choice, 1 additional remote switch in clicky style and a Universal Scope Mount for attaching to the scope of your crossbow or firearm! Simply screw the Razorback into your existing stabilizer hole or attach to your scope, mount your coiled tactical pressure or clicky switch near the grip with supplied mount and your ready for extreme night bowhunting! The Razorback is unlike any other bow mounted stabilizer light because of the extreme 2 mode CREE LED and specially designed 2 mode specific light bezel. We went ahead and made the RAZORBACK as versatile as possible giving the best of both close range bow illumination as well as maximum down range illumination. In low mode, the Razorback gives off just the right amount of light for shots up to 60 yards. Tap the pressure switch to high mode for extreme 200+ yard shot illumination and 400+ yard eye shine detection. Construction: manufactured from aircraft grade aluminum featuring a clear glass lens and the highest quality CREE LED. EXCLUSIVE, Industry leading FLAMBEAU hard plastic NightSnipe carrying case with protective foam cutout insert. 2 x Extreme powered 100,000 hour (2) mode CREE LED in your choice of White, Green or Red. 1 x Coiled tactical “Pressure” switch bow mounted stabilizer tailcap that operates both high and low modes. 1 x Coiled tactical “Click” switch bow mounted stabilizer tailcap that operates both high and low modes. The Razorback was designed and chosen as our archery light because of its simplicity, effectiveness, weight to stabilizer comparability, key features and the ability to choose the options YOU want. The Razorback comes standard with Bowjax vibration / sound dampeners to keep your archery shots as quite as your traditional stabilizer. It also gives you the option to choose between a coiled click switch OR a coiled pressure pad switch depending on personal preference. A fixed, non-adjustable beam light as the Razorback is the preferred and proven design that is most effective time after time. We all know that archery shots mean our game is up close and personal! Fumbling with trying to adjust your light beam is just not practical at close ranges and not effective. The light beam that the Razorback portrays at bow ranges has been designed for optimal target coverage and quick shot placements without any adjustments and full illumination of your target. An adjustable beam light is ideal for extremely long ranges, not at archery distance ranges. The tight beam is too small and often results in the animal not being fully illuminated or at the targeted animal’s feet. The Razorback was also designed with a 2 mode, low / high Cree LED. The low mode was tuned to precisely give 30% of its full output, the perfect amount of light for archery range shots without spooking your game. The high mode is ideal for long range scanning as well as the ability to transform your Razorback into an effective 200 yard full body illumination rifle light. Standard with your option of 1 or 2 Bowjax dampener / silencer systems. Optional crossbow picatinny rail and scope mount which comes standard in the Class-2 kit. Light is constructed of aircraft grade T-6 aluminum for heavy impact and recoil resistance. All Razorback Hunting Light™ Kits come in an exclusive Flambeau hard plastic carrying case that contains a foam insert which safely separates and protects all components for years of reliable protection. Available in green, red, and white 100,000 hour interchangeable CREE LED. Light and CREE LED’s manufactures under an ISO9001 certified manufacturer. Bezel and reflector engineered for both close range archery and extreme distance shots. Water resistant with included O-ring seals including LED seal for added protection. 100% operational at temperatures down to -45 degrees Fahrenheit. Dimensions: 6”L X 1.75” DIA. X 1” DIA. Tube. Threaded stabilizer tailcap with pressure or (click pad). Dual battery charger with AC and DC plugs.